“One of the greatest needs I see in our community, is activities that are free for families with very young children, to do especially since we have such long winters here” stated Ruth Hitchcock of the Albany County Public Library. Finding free and fun activities to do can be difficult. The Albany County Public Library offers numerous free classes for people of all ages. The schedule can be located on the Library website, http://www.albanycountylibrary.org. 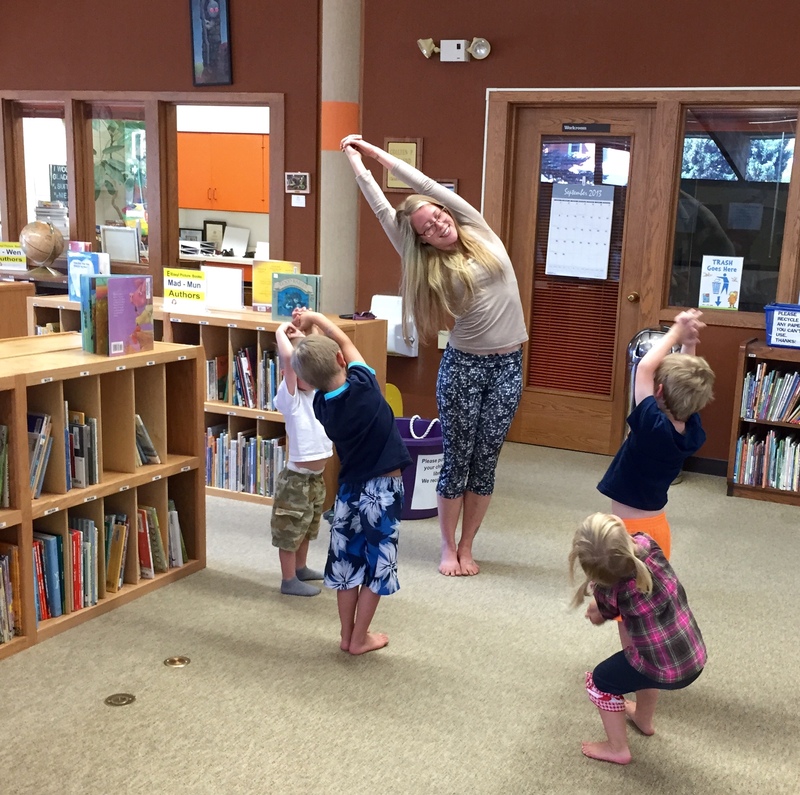 More specifically, the Library offers a free “story time yoga” class every Friday at 11:00a.m. The class is 30 minutes long. It is geared toward ages 3 to 6, but “if there is a 7 year old who is a homeschooled child or a 2 year old child who could handle it, they can come too” explained Hitchcock. The library strives to be liberal in allowing as many people as possible to be included in the programs. It is important that the whole community can be involved in the Albany County Public Library programs. Story time yoga is a unique class that expands the physicality and imaginations of its young participants. It begins with a descriptive explanation of the setting. The stories are set in a forest, outer space, or other location that can be filled with imagination and exploration. Once the scene is set, physical movements are incorporated into the story. Poses to mimic trees in a forest or the big stars in outer space are used to combine the story and yoga. Throughout the whole story the children are led into different movements and poses. The yoga poses used along with the story are simple and foundational so the children can achieve success in their practice. The class at the Albany County Public Library is led by volunteer Megan Lucas who has been practicing yoga for 4 years. Lucas is a teacher at one of the local studios in Laramie, where she received her yoga teacher training certification. Lucas has also been involved in numerous interpretive programs. Lucas brought story time yoga to the Library. She shared a YouTube video showing what the classes would be like, and Ruth Hitchcock from the Albany County Public Library loved the idea. “I was thrilled to have someone who was willing to volunteer to lead this (story time yoga)” stated Hitchcock. Youtube provides multiple examples of story time yoga. This video sufficiently captures the essence of the program, https://www.youtube.com/watch?v=x9ZF27OyFys. “The purpose of this program (story time yoga) is to get kids moving, more than anything, and to start thinking about their bodies. It helps with attention, I will do a pose and they (the children) will mimic what I do” explained Lucas. Cassy Johnson and her daughter Essie Johnson have been attending story time yoga since it began on September 5th. “She can pay a lot more attention to things, she picks up on the details and it helps her remember patterns” Johnson explained about her daughter after participating in story time yoga. Karen Ommen and her granddaughter Alma Ommen have also been attending story time yoga since it began. “I brought her to get her to do something physical” stated Ommen. Ommen has also seen changes in her grandchild since attending. “She follows directions better. She is learning to use her body to do different things while using imagination” explained Ommen. 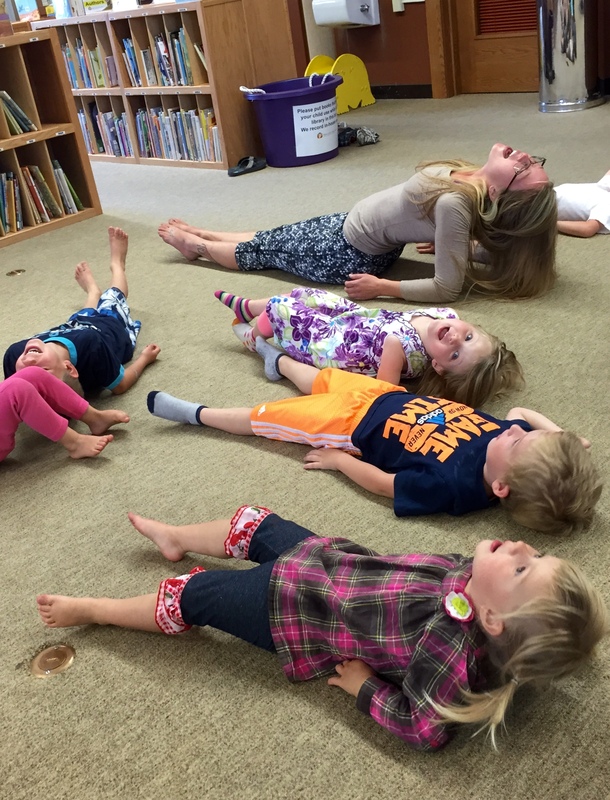 Story time yoga is successful in expanding the mental and physical health of children. The Albany County Public Library is happy to have caretakers join their children in the story time yoga class. The Library also offers a yoga class for people of all ages. For more information, visit the Albany County Public Library website at http://www.albanycountylibrary.org. The main page of “100 Gallons: Reflections From A Nation Powered By Water” is simple, which is key for navigation. The design includes a large video which consumes most of the web page. I greatly appreciate the usage of subtle color on the web page. There is a nice mixture of white, grey, and blue colors. The web page is not cluttered; there are only a few visible links. First, I watched the video. The video was very interesting. It included many clips of numerous individuals using water for various reasons. It showed how often water is used in every day life. Water is essential to life. Second, I chose to read about the clips in the video. Beneath the video are tabs from sections of the video. After clicking a tab, more information is provided. I greatly enjoyed this part of the web page because each tab provides a significant amount of different information. Every tab is different and written/made by a different person; so there is variance in how the information is provided. Lastly, I chose the “About” page which is also located below the video. The about page provides a summary for the purpose of the project. At the bottom of the summary there is a “staff” link which provides information on the creators/producers/reporters of the website. I chose to navigate the website in this order because it is set up in this way. It is clear that users are supposed to first watch the video, and then make further explorations from there. There is minimal scrolling on the webpage; which made exploring the site simple. The navigation buttons are not big enough for a finger to touch; therefore they should adjust the sizes of the buttons on their website in order to improve usability. Locating the creators/producers/reporters on the website is very simple and takes minimal time because it is located on the “About” page. After conducting the usability test on a friend, it is clear that the navigation of this website is similar for all visitors. My friend first watched the video, then explored the tabs underneath the video which provided further information on the project, and then looked at the about page. I believe my friend followed the same order that I did because the website is set up in such a way that it nearly navigates itself. The website does not have an immense amount of information. The information on the website is organized in a way that can be easily understood and navigated. My friend and I’s experience on the website were identical. We followed the same course of action when exploring the website. I think the website is organized efficiently and navigation is simple. This website passes my usability test with a standing ovation. I greatly enjoyed this website and thought it was very usable and informative. The video, video clip tab information, and the about page on this website should remain the same. I believe the set up of these sections is perfect. The size of the buttons should be changed. My finger would not be able to select the options available; therefore the buttons should be made larger. This is the only thing that should be changed on the website. I firmly believe this site is easily navigated and informative. Overall, I really enjoyed the website. I found the site to be informative, professional, and usable. Okay…I admit it, I have an unhealthy news diet. I do not regularly keep up on the news. The only social media website that I have an account on is Instagram. On my Instagram account I follow the International Space Station, NASA and National Geographic. These three accounts contain the only news that I read on a daily basis. The International Space Station (ISS) and NASA report news specifically about space. National Geographic reports news occasionally with pictures from around the world. I trust these sources because they have been a significant part of my education curriculum throughout my scholastic life. The ISS, NASA and National Geographic are not bias. The ISS and NASA specifically are not slanted because the information they provide can be scientifically proven. Most entertainment sources are not important informative information. I firmly believe “news” should be concerned with serious international information; not with celebrities, fashion, and the latest gossip. Many entertainment programs do not focus on credible information. Although many entertainment sources are not news worthy, there are a few entertainment programs such as the Discovery Channel and the History Channel that can be very informative. The few times that I have viewed these programs I have found them to be interesting, entertaining, and enlightening. Entertainment programs such as these should occupy more of the television, radio and other media sources. I do not talk to other people about news on a regular basis. When I do talk to other individuals about news it is most often about the information I have learned from my Instagram account. I enjoy talking about space news, on occasion, because every person views the world in a different way. 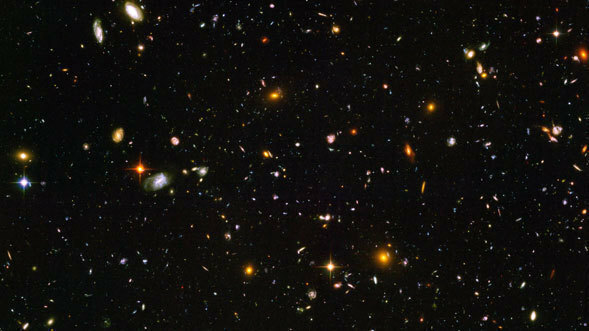 News about space can spark a brilliant and exciting conversation. I find myself talking about travel, weather, and aspirations most often. I need to make a major improvement on my news diet. Being knowledgeable on numerous subjects would be extremely beneficial to me. Having more knowledge would allow me to hold more conversation about current events. The news is important because it can contain informative valuable information.